Hilton started a Flash Sale today and have up to 30% off their hotel rooms. I had totally forgotten about the email I received a few days ago until this morning when I went to Hilton to book my Dubai hotel. 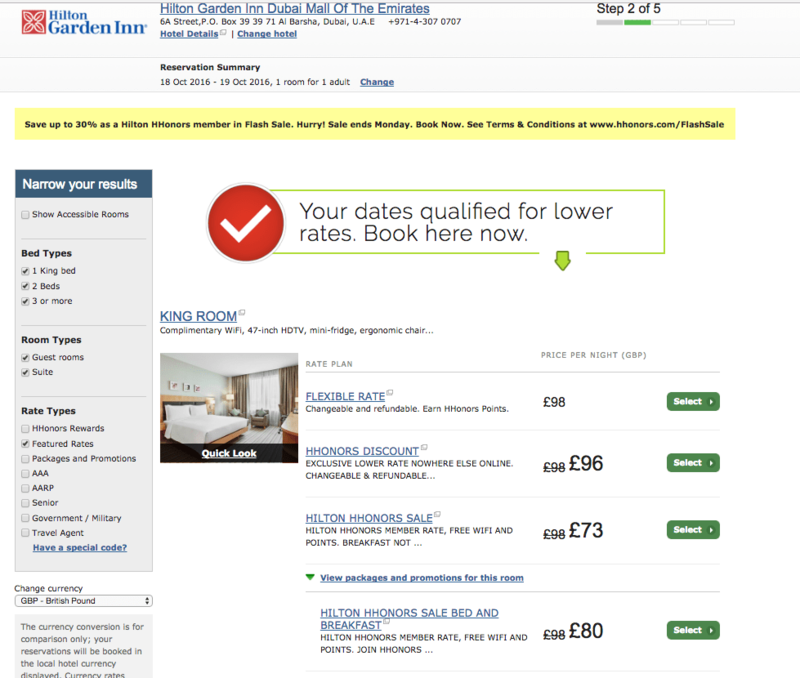 I was pleasantly surprised to see that the hotels were cheaper than when I checked last night. And that’s when I remembered the email about their sale. 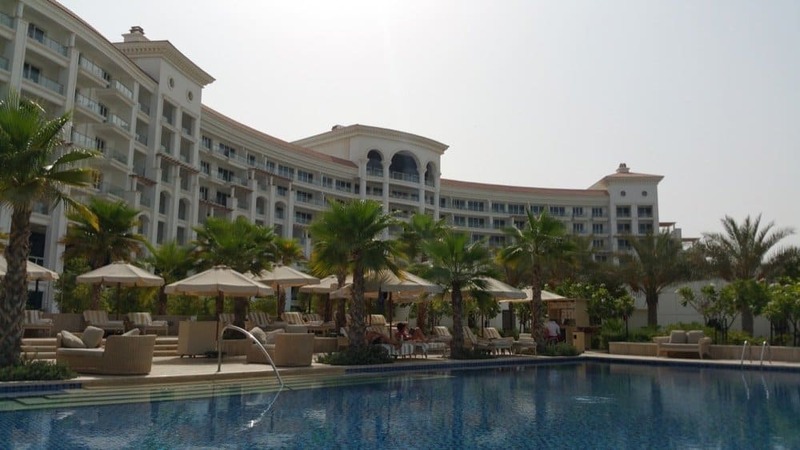 Now considering I am flying out this weekend and I need a hotel I can save approximately £50 per night on the Waldorf Astoria Dubai ( yay!). 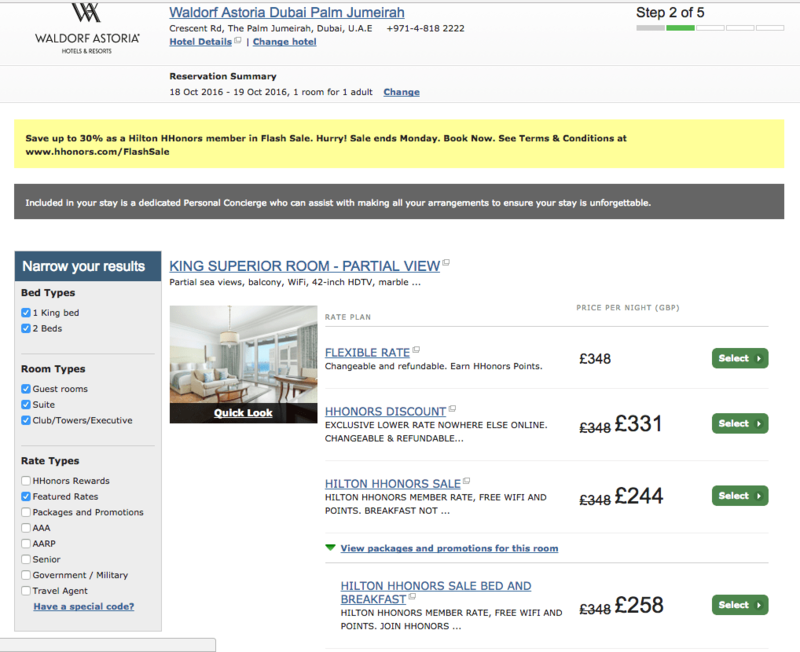 It is even cheaper than some of my other favourite hotel areas in Dubai such as the JBR walk. For me, the offer, including breakfast, offers the best value considering that if you don’t have status some hotels charge £20 per person for breakfast. Sale ends Monday 10th October 2016 23:59 British Summer Time. *Limited availability at the advertised rate. Offer is subject to availability at participating hotels within the Hilton Worldwide portfolio of brands in the UK, Europe, Middle East & Africa. Book between October 4, 2016 and October 10, 2016 and completed on weekends between October 7, 2016 and January 29, 2017 except as otherwise indicated. Full prepayment required at the time of booking. I know a few people emailed me about cheap hotels in Dubai, so this sale does offer some value, especially since it covers some of the peak travel dates for Dubai. 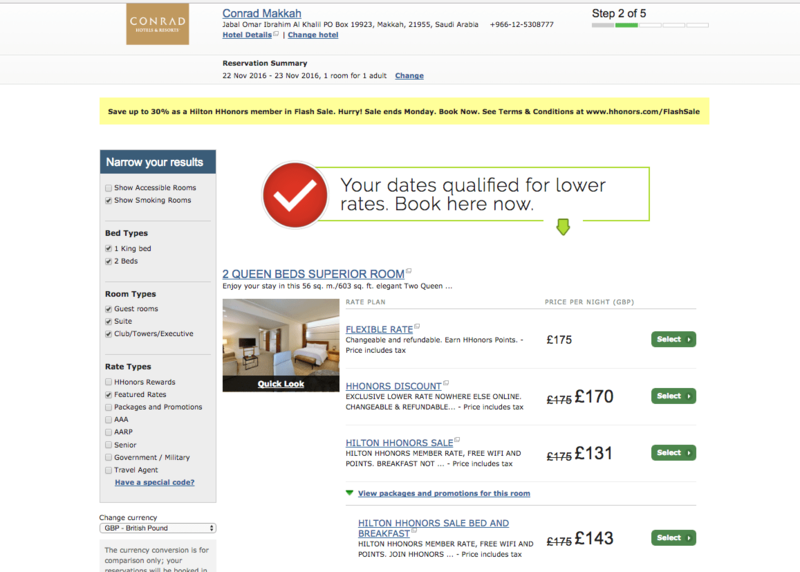 Also, the new Conrad is Makkah is a really good price at about £140 per night with breakfast. Considering it is a new property and close to the Haram (3min walk) it does seem value for me. All Makkah hotels during November are very similar prices, so if I had to choose one it will be the Conrad hotel.